Rep. Ruggiero OpEd: Play Ball! But Where? I love it when my constituents provide input on issues. The PawSox stadium has brought many emails and calls from both sides of the bench. Many have argued about the economic importance of the PawSox to our state. I’ve sat through many, many hours of testimony in the House Finance Committee and asked many questions. Now that the bill has been sent to the House, my committee will have more hearings, during which I’m confident we can continue to improve the proposal and make it a better deal for taxpayers. My first question was “Can Pawtucket afford this?” If they default, the taxpayers of the state are the back stop. Their fiscal analysis shows they can support the $18 million in bonds to pay back. Also, part of the deal includes PawSox developing 50,000 square feet for retail in Pawtucket, so the city will see tax incremental funding as well. I don't know if people realize that the $45 million that the PawSox are putting in for this deal (including buying the land) is 54 percent -- the most of any Triple A deal in the country; most Triple A teams have put in 25-30 percent of the public/private partnership. Then I asked, “Would the debt service be too much for the state?” Rhode Island currently gets about $2.1 million in revenues from McCoy today (with 400,000 attendees in 2016, and that’s the lowest since 1992!) The state’s debt service under the new deal is $1.6 million a year-- well below the annual income that the state already yields. Finally, looking to the future, I wondered if the state were to not authorize this public/private partnership with PawSox and the city of Pawtucket, would Pawtucket suffer extensive blight and an economic downturn in 4 or 5 years? Pawtucket has already lost Memorial Hospital and the Gamm Theatre, and Hasbro is considering a move. On the other side, there are some pretty cool local breweries in Pawtucket attracting a young, professional clientele. When you come into Rhode Island from Boston, the gateway to our state is Pawtucket and that old Apex building! Would Rhode Islanders regret and become resentful if the PawSox became the WorSox? Has Brooklyn ever gotten over losing the Dodgers? The House Finance Committee will work to make the Senate bill a better bill for Rhode Island taxpayers. I suspect there will be more change-ups in this saga, but the first pitch will be thrown in 2020. The question is where? 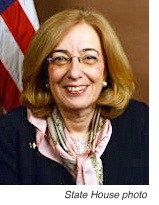 Rep. Deborah Ruggiero, chairwoman of House Committee on Small Business, serves on House Finance and represents Jamestown and Middletown in District 74. She can be reached at rep-ruggiero@rilegislature.gov or 423-0444. Read more about Rep. Ruggiero OpEd: Play Ball! But Where? In recent days we’ve seen harrowing images of Texans carrying their children, belongings and pets against strong currents in chest-deep waters, and heard the heartbreaking stories of loss as one of the most-damaging storms in history wreaked its havoc on the Gulf coast. Here in the Ocean State, we must take heed. We may be 1,800 miles away, but we are similarly at risk for devastating flooding in the event of a hurricane or other severe weather event. In 2016, I led a special legislative commission that studied the economic risks that sea rise and flooding pose to our state. What our panel found was that Rhode Island can protect itself from some of the economic risks posed by rising sea levels through coordinated statewide planning and awareness programs aimed at policymakers, homeowners, business owners, and real estate agents. But we also found that we musts do more to ensure that all policy makers across the state grasp that the risks aren’t merely hypothetical. As a coastal state with a majority of our population and resources located near the water, the dangers to our lives and resources are inevitable, and we need to protect them before the next Harvey, Katrina, Gloria, or Carol comes our way. Toward that end, this session I sponsored legislation requiring continuing training on sea rise and flooding for all local planning boards. The bill aims to ensure that those who have the front-line duties of determining whether, where and how we build our communities have the information and tools to ensure new development and redevelopment is built with an eye toward protecting assets from rising sea levels, which also affect inland and riverine municipalities. The training program has already been developed at the University of Rhode Island, having been funded in last year’s state budget, and consists of a one-hour course that planners can take for free online at their own convenience. This is quite possibly one of the most critically important things we can do to protect public and private assets, as well as lives and livelihoods, from flooding. Empowering local planners to recognize future risks and require that future development protect against them will do more than protect their investments; it will also help keep insurance costs for all Rhode Island properties from rising rapidly, since high replacement costs and recurring disasters increase insurers’ costs, and property-holders’ rates. The insurance industry should embrace this effort to prepare for future risk. This legislation has passed the House and is now awaiting Senate approval. The Senate Judiciary Committee had recommended it for passage by the full Senate before the Assembly unexpectedly recessed in June. I urge my colleagues in the Senate to see this bill through to the finish line when the two chambers return on Sept. 19. Rhode Island must be more proactive in planning for flooding and sea rise. The devastating toll of human loss and suffering in Texas must remind us of the high stakes involved. Rep. Lauren H. Carson (D-75, Newport) served as chair of the Special House Commission to Study Economic Risk Due to Flooding and Sea Level Rise. Editorial note: OpEd provided by State House news bureau. Manufacturing in Rhode Island is alive and well, but not the manufacturing from the days of our grandparents. Technology has changed how we do business today and how we live. Today’s manufacturing requires knowledge in technology, math, ladder logic, G-code, lean manufacturing principles and CAD programs. Manufacturing represents 15 percent of the state’s economy with over 1,600 manufacturers in Rhode Island ranging from sole proprietors to companies with over 100 employees. The number one challenge I hear from manufacturers is finding qualified candidates to expand their business. The biggest asset of any company is its people. And let’s be real, because not every high school student is going to college. That’s why the Governor’s Manufacturing Initiative in this year’s budget is so important. The General Assembly approved $3.65 million to upgrade Davies Career and Technical High School to create a state-of-the art Advanced Manufacturing Center. Investing in manufacturing to train high school students exposes them to careers that will help them in the future. It also helps manufacturers —from craft breweries to precision manufacturers — employ a skilled and qualified workforce to meet the demand of their customers. Many young people don’t know what opportunity looks like today. The new manufacturing in Rhode Island is in defense, marine and infrastructure technology and cybersecurity. Rhode Island is a defense and undersea technology leader not just in New England but throughout the country. More young people should tour Taylor Box in Warren and talk to Dan Shedd, owner of a third-generation family business. He’s survived recessions, expanded his manufacturing facility, and continues to look for good talent for his growing business in this new economy. Let’s drive economic growth by creating a skilled workforce while expanding manufacturing in Rhode Island. It’s the future. It’s the new economy. It’s good-paying jobs and in our own backyard. 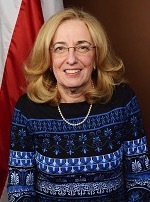 Rep.Deborah Ruggiero, (D-Dist. 74, Jamestown) is chairwoman of the Small Business Committee and serves on the House Finance Committee. As President of the Rhode Island State Senate, I have a responsibility to ensure we pass a balanced and sustainable budget for the state of Rhode Island. The budget adopted by the House of Representatives did not protect the state’s rainy day fund from Speaker Mattiello’s car tax phase-out in the event of a future recession or cuts to federal aid. Like the Speaker, I support eliminating the car tax, but only if we can afford it. This should not be a new revelation for the Speaker. Since the beginning of this legislative session, I have publicly and privately expressed concerns about the sustainability of phasing out the car tax. I understand the Speaker campaigned on eliminating the car tax, but campaign promises alone cannot serve as the basis for policy formulation. Last Friday, the Senate unanimously approved amending the budget to include a critical safeguard that suspends the car tax phase-out if state revenues can no longer support the plan. Without the safeguard, the state would have to tap into the rainy day fund, which I will not support. The Senate previously discussed this safeguard during budget negotiations and Senate Finance Committee hearings. This safeguard was the only amendment to the budget. The Speaker’s car tax plan otherwise remains untouched, and not one dollar was changed in the $9.2 billion budget. I have great respect for the Speaker and his passion for reducing the car tax, but no one individual in the General Assembly has the authority to dictate what will or will not be in the budget. The Senate made this corrective action to protect taxpayers. Tapping into the rainy day fund could harm the state’s bond rating and our overall fiscal health. The Speaker has not identified a revenue stream to support the car tax phase-out going forward. In fact by 2024, the car tax phase out will cost $221 million. The projected structural deficit for that year is over $300 million. Without proper safeguards or a proven reliable revenue stream, the rainy day fund could be obligated to support the Speaker’s car tax phase-out. No one, not even the Speaker, wants to see this phase-out succeed more than I. The two communities I serve – Providence and North Providence – pay among the highest rates in the state. However, Rhode Island has a long and tortured history in its efforts to phase out the car tax. At one point, the General Assembly repealed a similar plan because of declining state revenues. I will not repeat that mistake. Taxpayers deserve predicable and sustainable tax relief. After we amended the budget last Friday, the Senate remained in session and passed legislation to improve the quality of life of all Rhode Islanders. When the Speaker abruptly recessed the House, not only did he leave the budget unfinished – which includes his car tax plan with our safeguards – he also walked away from critical pieces of legislation. These include measures to provide paid sick leave to Rhode Island workers, take guns out of the hands of domestic abusers, and codify important provisions of the Affordable Care Act into state law. We encourage the Speaker to reconvene the House to take up these matters. In the meantime, the Senate will thoroughly review all legislation that comes before us and pass that which we deem is in the best interest of all Rhode Islanders. 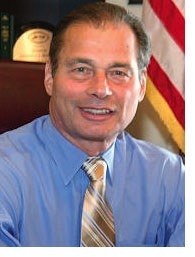 Dominick J. Ruggerio is President of the Rhode Island Senate. He is a Democrat that represents District 4, Providence and North Providence. In recent years, it has become common to walk out my front door near Newport’s waterfront in the historic Point neighborhood during a storm and see several inches of water surging up the road. For some, the challenges caused by sea rise and flooding still seem hypothetical, but for me and the hundreds of other neighbors and businesses in my district, the issue is on our doorsteps — sometimes over them. While Rhode Island possesses the research and intellectual capital to tackle sea-level rise, I witnessed a communication divide between those studying the issue, stakeholders affected by it and leaders capable of addressing it. For that reason, one of my first priorities upon my election to the House was to sponsor the creation of a commission to study and bring attention to the economic risks that sea rise and flooding pose to our state. The commission, whose members hail from real estate, hospitality and tourism, academia, science and public policy, worked for six months, conducting case studies on the Providence Port, the Newport waterfront and the Westerly beachfront, and listening to municipal, state, and regional experts. What we found was that businesses from beachside restaurants in Westerly to marine shipping corporations in Providence are beginning to understand the threat of sea level rise and conceptualize solutions, but we still have much work to do to ensure the Ocean State adequately adapts. In the end, the state must adopt a philosophical approach to meeting adaptation goals that embrace the broader aim of protecting Rhode Island’s overall economy from flooding and rising waters. Toward that end, I have introduced legislation requiring continuing training on sea rise and flooding for all local zoning and planning boards, to ensure that those who have the front-line duties of determining whether, where and how we build our communities have the information and tools to ensure new development and redevelopment is built with an eye toward protecting assets from rising sea levels, which also affect inland and riverene municipalities. This is quite possibly one of the most critically important things we can do to protect public and private assets, as well as lives and livelihoods, from flooding. Empowering local planners to recognize future risks and require that future development protect against them will do more than protect their investments; it will also help keep insurance costs for all Rhode Island properties from rising rapidly, since high replacement costs and recurring disasters increase insurers’ costs, and property-holders’ rates. The insurance industry should embrace my efforts to prepare for future risk. I am also working to design a flood audit program similar to the existing free energy audit program offered by RISE Engineering through National Grid. While this legislation may not be ready in time for passage this session, helping businesses and residential property owners in the flood plain understand and mitigate their own risks was one of the recommendations of our commission. At the commission’s request, the Department of Business Regulation is also considering regulatory training for real estate agents on sea rise and flooding as part of their continuing education requirements as a means for making improvements to existing properties when they hit the market to ensure their protection from flooding, and helping agents protect Rhode Island buyers from making risky investments. Our study commission learned many important things about our fragile coast, but mainly we learned that there is a high cost to doing nothing. A do-nothing approach will likely cause insurance premiums to increase and homes and businesses to flood near and far from our 400 miles of coastline. It is cheaper to act now. Rhode Island is prepared to do that because of well-defined regulations, strong risk-assessment tools, and effective cooperation between the government, academia and the private sector. We can project Rhode Island as a leader in the region for taking steps to ensure minimal property damage and business interruption costs and loss of value due to sea rise, sea surge and flooding. Rep. Lauren H. Carson (D-Dist. 75, Newport) is chairwoman of the Special House Commission to Study Economic Risk Due to Flooding and Sea Level Rise.